Lauri set has a fabulous and elegant combination of textures and colors. 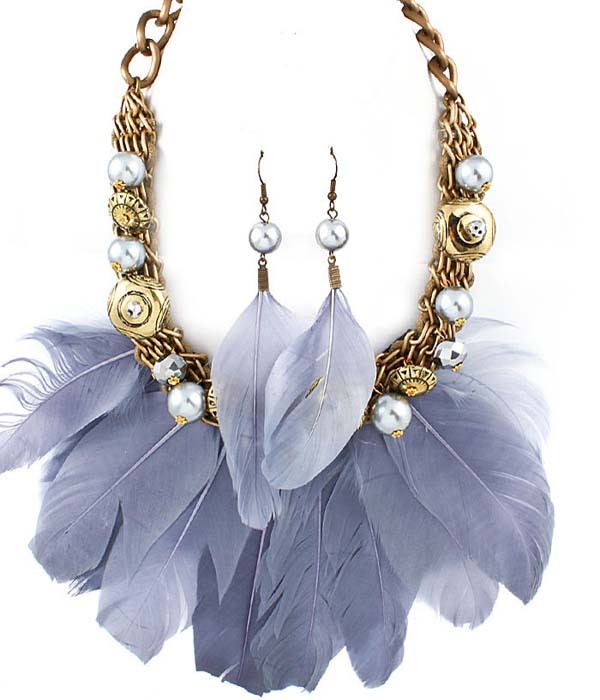 The necklace has an array of chains with metal button details, smooth beads and faceted crystals on it and a fan of pendant grey feathers. Add this fashionable statement necklace to your new season's jewellery collection today.